On 7th December, 2017 during the winners’ award ceremony of the competition “Export and Innovation Award 2017” that took place in the President’s Palace our company won the honoured 1st place in the category “Exporting Company” of Latvia in 2017! 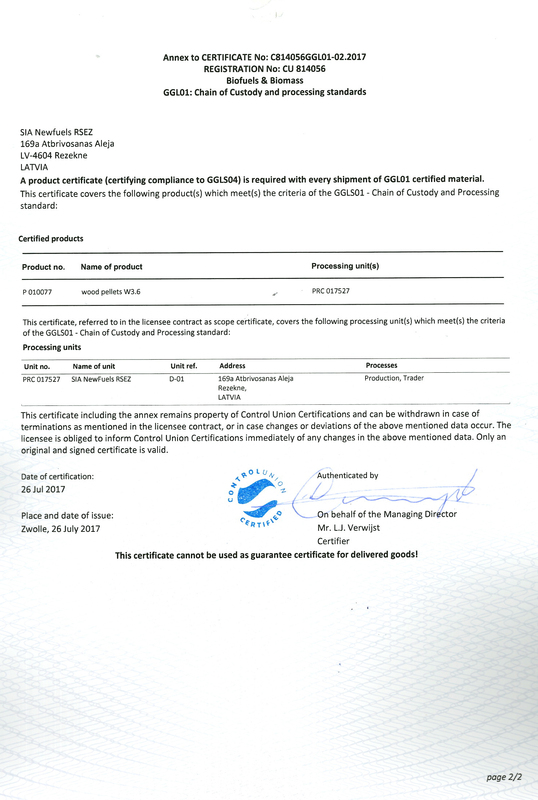 Together with the main prize we also received the certificate for using the logo of the competition for the marketing purpose. On 7th September, 2017 during the ceremonial event “Rezekne SEZ – with a view to the future” within the group of large/medium sized commercial companies “NewFuels” RSEZ SIA got the award “The Company of the Year” and received 1st/2nd/3rd place in nomination “The Cooperation Partner of the Year”, 1st place in nomination “The Investments of the Year”, 2nd place in nominations “The Producer of the Year” and “The Most Rapidly Growing Enterprise” and 3rd place in nomination “The Most Socially Responsible Enterprise”. On August 12, 2016 at the ceremonial event of Rezekne Special Economic Zone the awards for the winners of the Year Award for RSEZ companies were presented already for the fifth year. 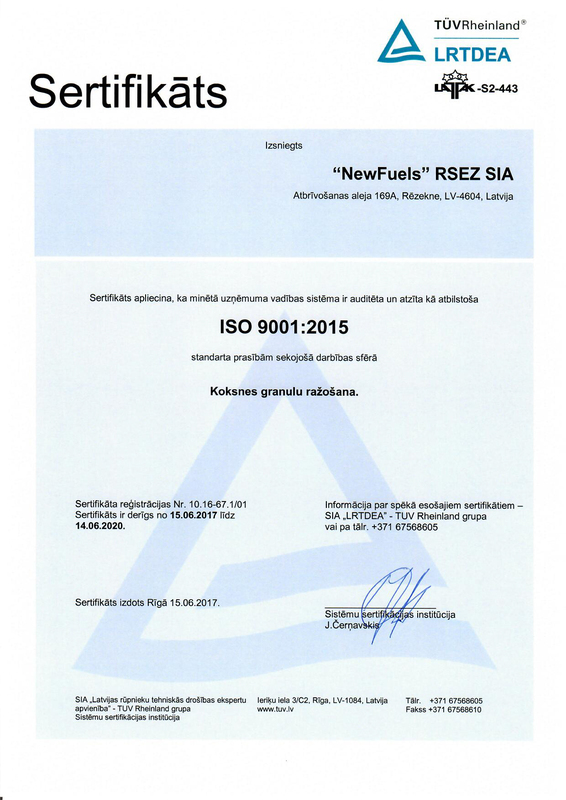 Evaluating the figures of 2015, the award of the “Company of the Year” was granted to NewFuels. The company received the following gratifications: 1st place in the nominations “The Investment of the Year” and “The Most Rapidly Growing Enterprise”, 2nd place in the nominations “The Largest Tax Payer” and “The Largest Exporter”, 2nd place in the nomination “The Producer of the Year” within the group of large/medium sized commercial companies. 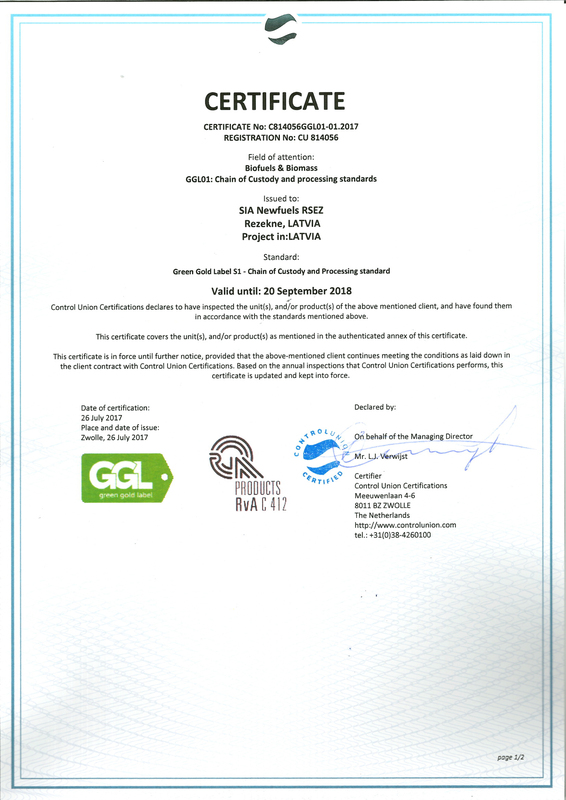 In accordance with the initiative of the social partners the company is awarded with the Certificate of Recognition “For Promoting the Employment”. Atmosclear CHP has got the Certificates of Recognition for “The Most Rapid Start” and “The Investment in the Development of Rezekne Special Economic Zone in 2015”. The company got 1st place in the nominations: “The Producer of the Year”, “The Investment of the Year” and “The Innovation of the Year”, 2nd place in the nomination “The Largest Tax Payer” within the group of small sized commercial companies. 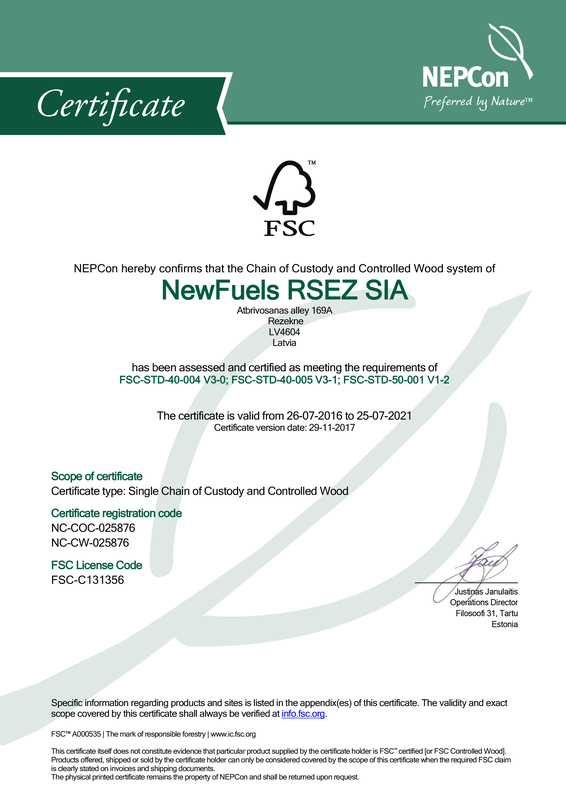 On July 24, 2015 “NewFuels” RSEZ SIA received Certificate of Recognition for the contribution of RSEZ development in 2014 and the 1st place in the nomination “The Most Rapidly Growing Enterprise”; 2ndplace in the nomination “The Producer of the Year”; 3rd place in the nomination “The Investment of the Year” and “The Biggest Exporter”. 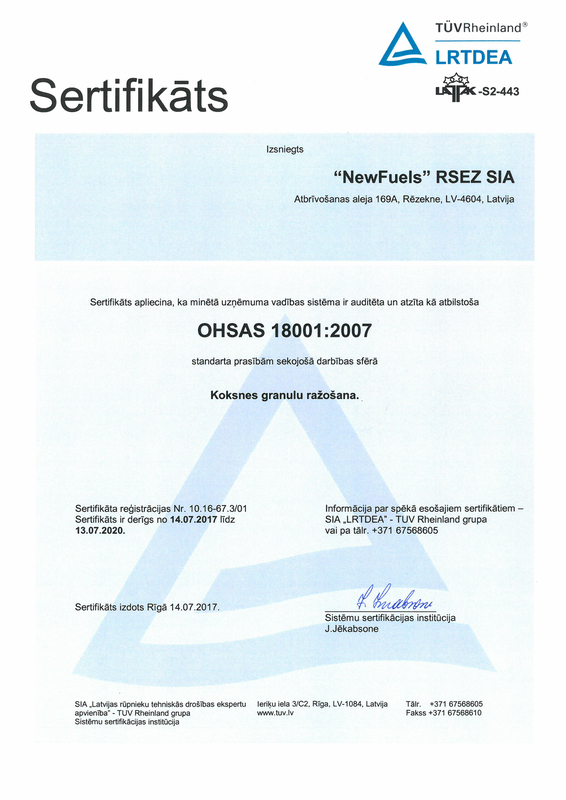 On October 31, 2014 within the frame of annual exhibition “Rezekne Entrepreneur” Rezekne City Council awarded NewFuels with recognition of “Socially most responsible enterprise of the year and export contributor”. 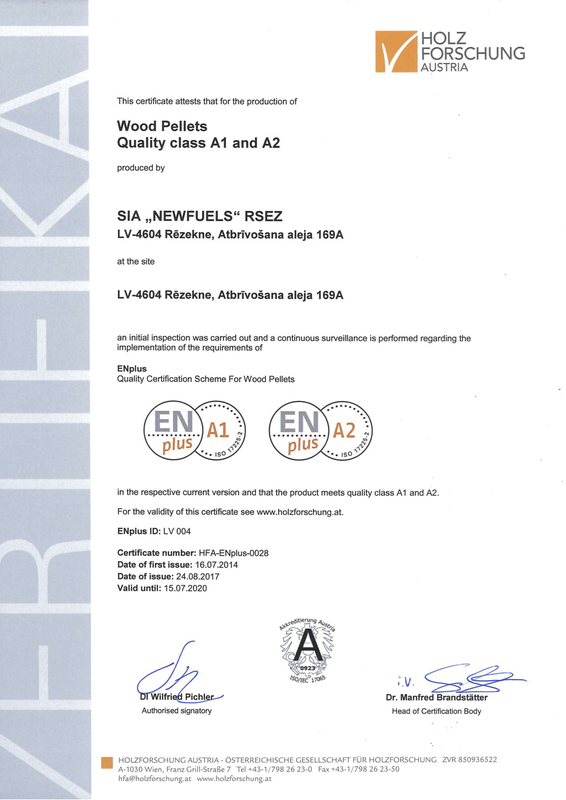 On August 22, 2014 the pellet plant NewFuels has been granted several awards among the group of large/medium companies – 1st place within the nomination “The Largest Exporter”, 2nd place within the following nominations: “The Most Rapidly Growing Company”, “The Producer of The Year”, “The Largest Taxpayer”, “The Investment of The Year”. In the competition for the Grant of The Year NewFuels received the acknowledgement for having the most socially responsible entrepreneurship. 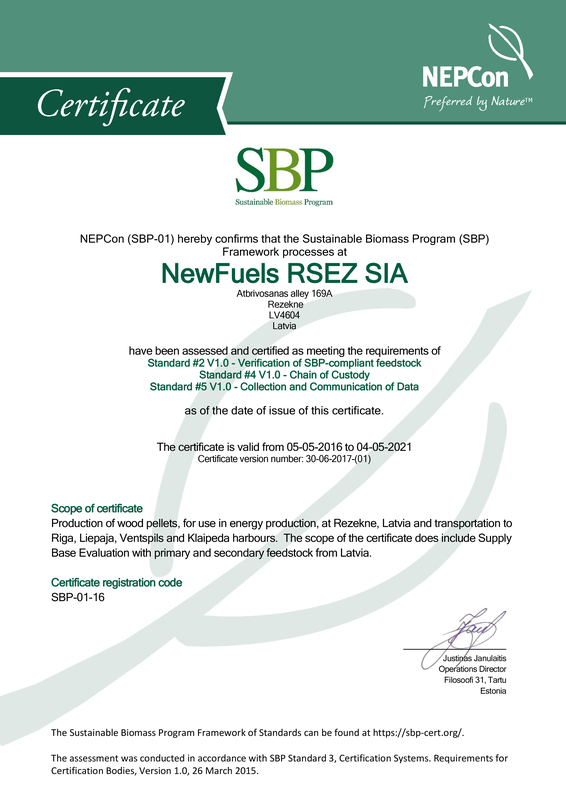 In 2012 SIA NewFuels RSEZ received the appreciations in nominations ”The largest exporter” and “The largest investments” among the large / medium enterprises. 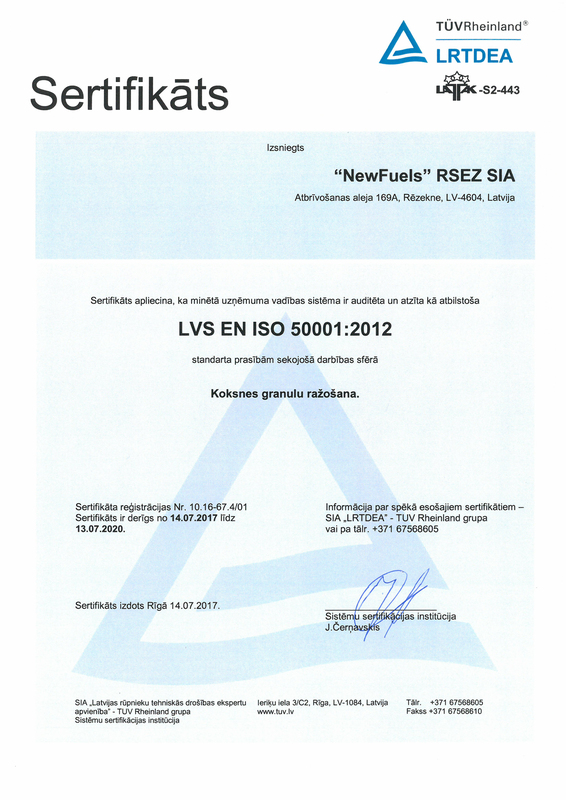 Rezekne Special Economic Zone (RSEZ) have awarded NewFuels first place in the competition for Company of The Year 2012. 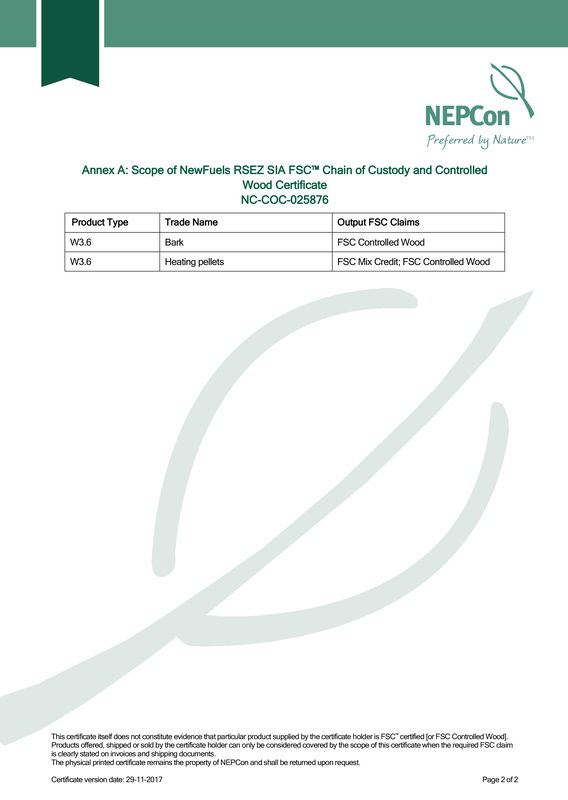 NewFuels won in the category for medium sized enterprises. Rezekne City Council awarded the company a prize for being the fastest growing company in 2011. 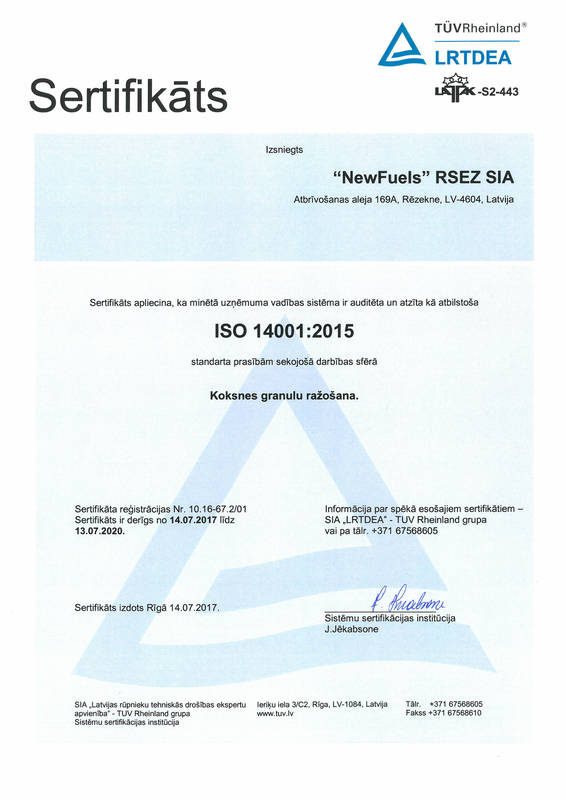 The company also received an award from Rezekne Special Economic Zone for the significant contribution to the development of NewFuels. On 6th November, 2017 it was a great honour for the company “NewFuels” RSEZ SIA to meet the jury of the competition “Export and Innovation Award 2017”. Among the members of the jury commission there were the representatives from the Chancery of the President of Latvia, Ministry of Economics, Investment and Development Agency of Latvia, Latvian Bank, Employer’s Confederation of Latvia, The Latvian Chamber of Commerce and Industry, Luminor Bank, University of Latvia, Riga Technical University, Institute of Agricultural resources and Economics, ALTUM, newspaper Dienas Bizness, Latvian Technological Center, Latvian Institute, Latvian Designer’s Society and Association of Latvian Young Scientists. Our pellet plant has also been visited by representatives from Rezekne City Council, Rezekne University as well as many other guests.